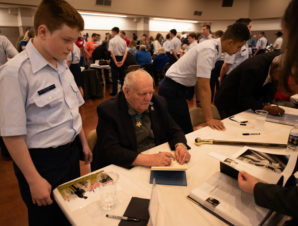 APRIL 13, 2018, GAINESVILLE TX—Cadets from the Civil Air Patrol’s Nighthawk Composite Squadron volunteered to help support Medal of Honor recipients, at the “Most Patriotic City in America’s” annual celebration of Americans who have received the military’s highest decoration. 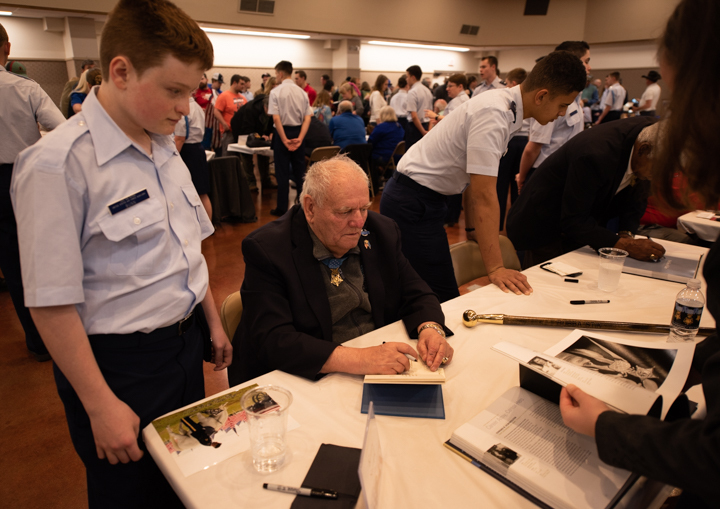 24 Medal of Horner recipients from across the nation ascended upon Gainesville TX for a week long celebration culminating in a parade and book signing on Saturday. 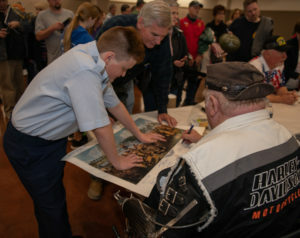 Although the parade was canceled due to severe thunderstorms in the area, the cadets still helped the recipients at the signing, by holding books being autographed, taking photos, and attending to the needs of these heroes. 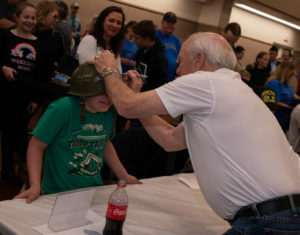 Gainesville, which is about 63 miles north of Denton, is the only city in America which holds an annual celebration where people can meet and talk with Medal of Horner recipients.